Toyota boss in Europe says Toyota and Subaru will bring a next-generation 86/BRZ adding excitement and emotional appeal. Torque News began reporting a next-gen model would be coming and reported this over a year ago and again confirmed this last month. But Toyota’s European marketing boss Matt Harrison does offer up a few more details about the 86/BRZ twins and says it’s about adding more excitement and emotional appeal. Could a turbo model be in the works? On the surface, the Toyota 86 and Subaru BRZ don’t appear like they have been a success for either of the Japanese automakers when you look at the raw sales numbers. Sales have been dropping steadily since the pair made their launch in 2012. What Matt Harrison says next is not really news to us. The Toyota boss says the next-generation 86/BRZ will keep the Subaru Boxer engine and transmission. That’s not a surprise because the Subaru flat-four Boxer sits low in the chassis and gives the two-door sports coupe a lower center of gravity producing its dynamic driving characteristics. It’s why Toyota wanted to use a Subaru Boxer powerplant in the first place. You Might Also Like: Are New Toyota/Subaru MR2 Hybrid, 2.4L Turbo BRZ/86 Next? We’ve said in the past that the Subaru BRZ is a tool to get new people into their showrooms, and it works. The BRZ will be someone’s second car and it won’t be used as a daily driver year-round in most cases. Subaru uses vehicles like the Forester SUV, Outback wagon or Crosstrek crossover to grab these buyer’s attention when they are looking for a vehicle for everyday use. Subaru is attracting many new buyers to the brand who have never purchased a Subaru vehicle before and BRZ plays a part in the brand’s overall strategy. So now, one of the burning questions which neither automaker is about to reveal, is what will power the second-generation Subaru BRZ / Toyota 86 sports coupe? 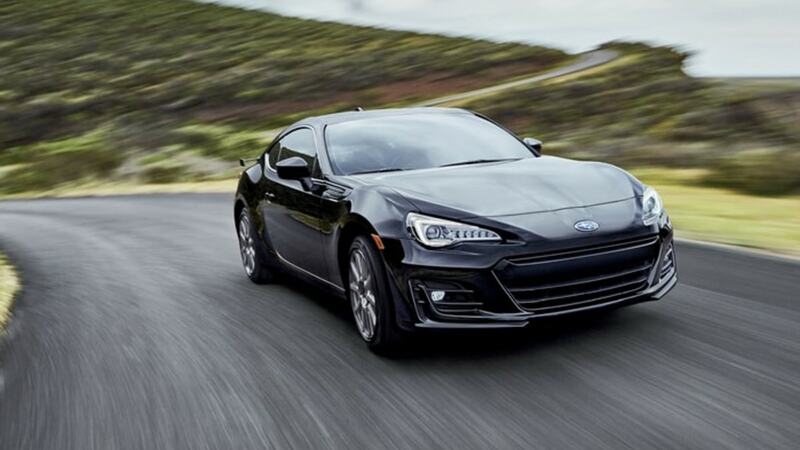 Last April, Toyota sources told The Japan Times, the next-gen BRZ/86 sports coupe will come with a new 2.4-liter turbocharged Boxer engine and have more power. An unnamed Toyota source told the Japanese newspaper, the new BRZ/86 two-door coupe will arrive sometime in 2021. Nothing has been confirmed by Subaru or Toyota, but if the twins get a turbo engine, Subaru would use the FA24 2.4-liter turbo boxer sourced from the new 2019 Ascent 3-Row family hauler. This would definitely add new excitement and emotional appeal to the rear-drive sports coupe. Stay tuned.